I have been a computer graphics professor at a German university since 1993. After my Master's Degree in Computer Science I joined a research department in Graz, Austria, to perform data analysis with data from space. We collaborated with NASA on Side Looking Airborne Radar and the job (its research leading to a PhD thesis) took me to NASA JPL in Pasadena several times per year. Being part of a scientific team on such a fascinating topic did truly change my life. With a PhD at the Technical University of Graz, Austria. My first SIGGRAPH was 1989 in Boston! I have not missed too many SIGGRAPH conferences since. 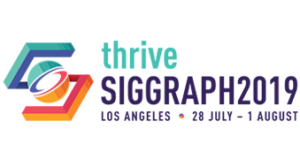 .. of each SIGGRAPH conference: every time I come back from SIGGRAPH I overflow with ideas of what to do next in my research and in my teaching. It means updating my knowledge on computer graphics, it means filling my head with new ideas that become potential projects, and, since starting to be a member of a SIGGRAPH committee, it also means seeing again dear friends. Sometimes I visit high schools to give a talk about the computer science program at my University, and I realized that there are many girls interested in and achieving high grades in math, however, we still lack girls in our computer science programs. So I started a summer workshop with high-school students interested in Math, to implement matrix and vector calculations to develop a virtual world and a car racing game in it. I wanted to show how creative math is – because any animated 3D-graphics on a computer is nothing but math. An account of the work was published in IEEE Computer Graphics and Applications, and can be found in the IEEE Xplore Digital Libary at http://ieeexplore.ieee.org/xpls/abs_all.jsp?arnumber=6415480. Sorry, I pass on that. I had dinner with many exciting, kind, humorous, and/or generous people in my life, that are not world famous, but the dinners with them were very memorable. I would just like to continue that, be part of the research community, and meet as many of the people who make conferences and universities exciting as I can. And some of my best dinners were at the fringe of SIGGRAPH conferences! From my mother: Get up early and DO something useful. Helps me get through my morning run every day. Scott Owen! When he was director of the ACM SIGGRAPH Education Committee, he asked me to join the committe in 1992. I am still in the committee and Scott and I still work together on various projects. Finishing my PhD. And knowing that it cleared my path to do scientific work.